The drop-dead gorgeous Komodo National Park in Flores, Indonesia, is something that would fulfil all the list of a Perfect Paradise on Earth. It’s tropic, it got all the crazily transparent and turquoise water, it has dozens of empty beaches an` uninhabited, notched islands, and it’s blessed with rich and diverse marine life under the water. But what makes Komodo Island tour even more special is the dragon that lurks between the tropical bushes and a certain vibe of prehistoric left over that Komodo offers. As dragons are not something you would see everyday, you can’t just let this adventure pass into mediocre. Here’s how to get the most of the dragon trips. Due to limitation of time, many tourists need to choose between Komodo Island and Rinca to see the dragons. Both are the main home of the dragons, and both are inhabited by the same dragon species, so it would make sense if you want to choose one. If you are on multiple days Komodo Island tour, however, we highly suggest you to take both islands. Because why not? 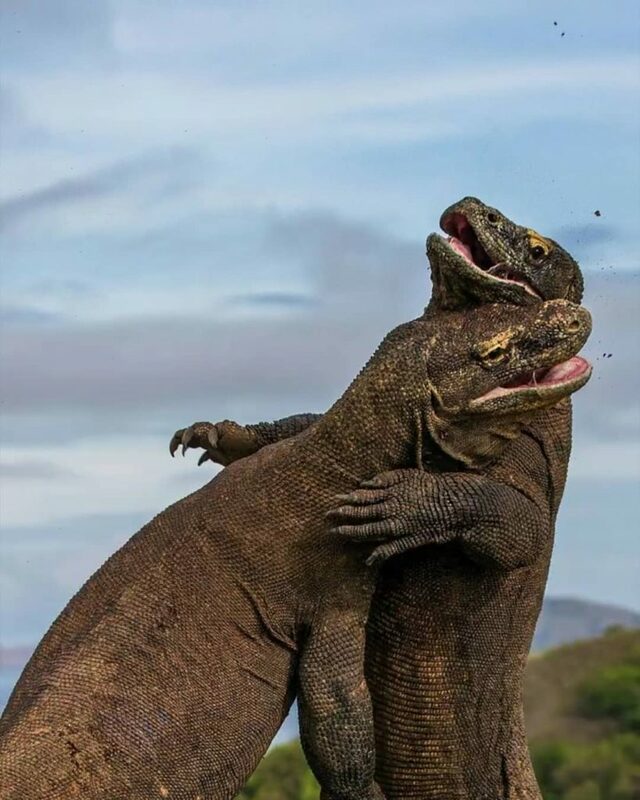 Despite being the only home of Komodo dragons in the wild, spotting these lizards has not always been easy. Many times, tourists need to accept the lack of dragon sighting along the track and have to be satisfied with only once or two spotting. That’s why visiting both islands might help with your “dragon hunting”. If you fail to see the dragons on one island, you will always have the other for a B plan. Komodo has a keen sense of smell and they are somewhat stay with their prehistoric instinct. Have you ever heard how the dragons loves to gather around the ranger’s kitchen? Yup, that’s because of the smell. So if you have something yummy somewhere in your pocket, don’t be surprised if you find one of the dragons creepily following you behind. One thing to not be missed when you are having a Komodo Island tour is finding the dragon nest! Often, they are formed as huge pile of earth with 4-5 holes where the eggs are laid. Sometimes the mother of dragons (sadly she’s not Daenerys Targaryen) is seen guarding the nest. Often times, the nest is empty—but you are free to observe the dragon eggs! if you are lucky, maybe you can even see young dragons hatchling from their eggs—but that’s such a rare occurrence so don’t put your hopes high. Nevertheless, the dragon nests themselves are still a great sight to behold.